This is for a 5-page website for an online radio station includes player and a streaming server with the login so you can upload your music and control multiple playlists. You have unlimited storage for mp3s. DEMOS AND RADIO STATIONS CLICK HERE! USE AS A HOBBY OR RUN AS A BUSINESS! 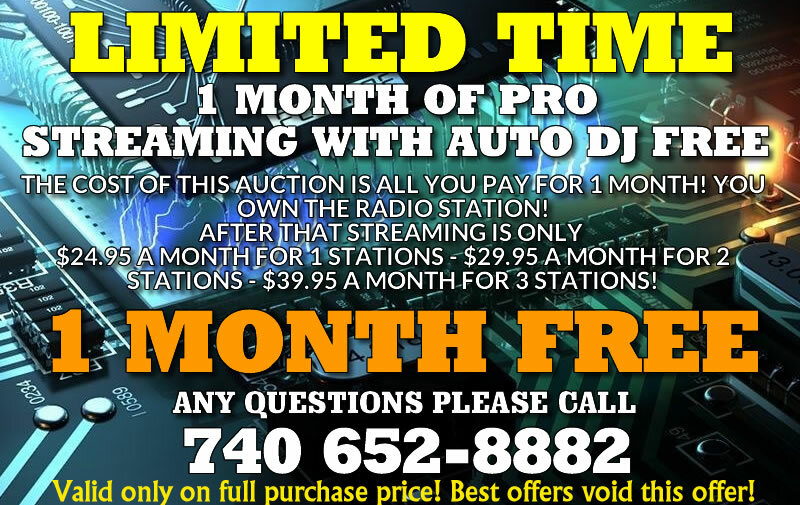 Sell ads, commercials, banner space, air time you name it's you're very own online radio station owned by you! We provide the best support in the business. 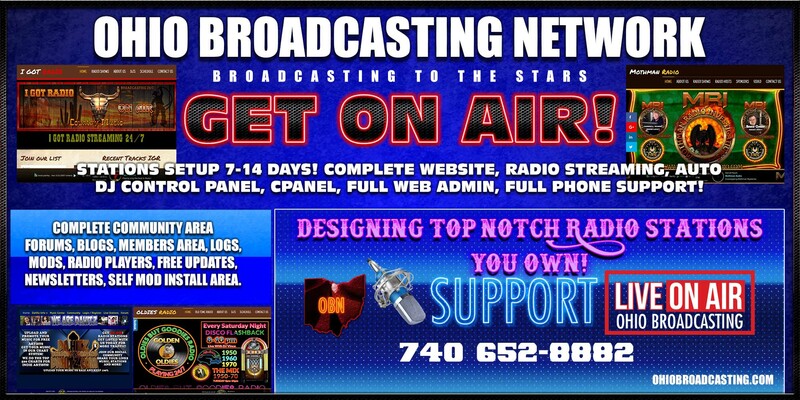 STREAMING IS $19.95 A MONTH 2,000 LISTENER SLOTS! THAT MEANS AT ONE TIME MAX IS 2000 LISTENERS! THAT'S 2,000 LISTENERS SLOTS THAT CAN BE UPGRADED ANYTIME! CAN CHANGE THIS OFFER AT ANYTIME. IF YOU DON'T HAVE A DOMAIN NAME WE WILL PURCHASE ONE FOR YOU AT THE REGULAR PRICE OF $19.95. Installed on your domain name or a new domain! WE CHARGE $19.95 FOR DOMAINS WE PURCHASE. You can change the colors as you like. Complete back end admin area. Back end run by Joomla software. THIS RADIO STATION IS READY TO GO! We will send you the links to some videos to show you how to run the website. We also have phone support too! Very easy to do. Two weeks on your a pro at it. Full phone support during hours. USE THE BUY IT NOW AND GET FREE STREAMING FOR 1 month! AFTER THAT IT'S ONLY $19.95 A MONTH FOR STREAMING! 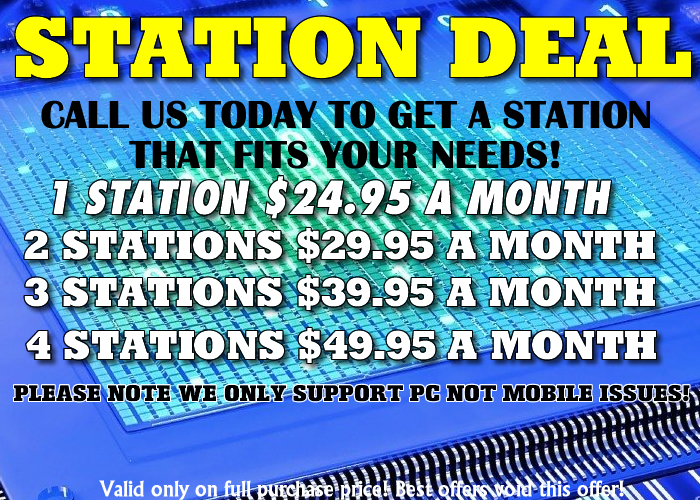 GET YOUR OWN RADIO STATION! COMPLETE READY TO GO OUT OF THE BOX RADIO STATION IN ANY GENRE YOU WANT! TALK RADIO ALSO! COMES COMPLETE WITH AUTO DJ! 1 MONTHS OF FREE STREAMING! WORKING COPY READY TO GO WITH AUTO DJ STREAMING! CAN TAKE UP TO 7 DAYS TO 14 DAYS TO INSTALL DEPENDING ON YOUR DOMAIN NAME AND HOW BUSY WE ARE. NEED A NEW DOMAIN NAME LET US KNOW WE CAN GET IT FOR YOU AND HAVE IT ON THE SERVERS IN HOURS! 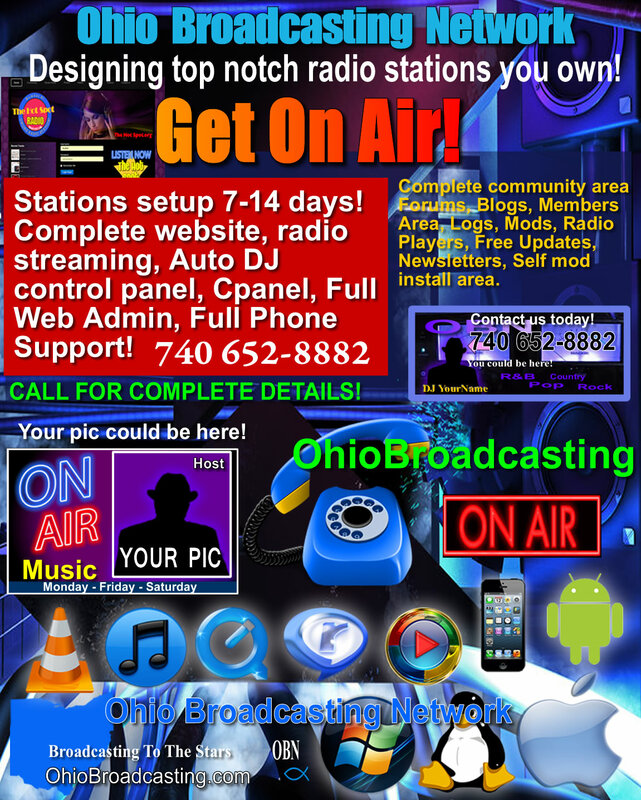 This is a complete internet radio station with AUTO DJ! YOU OWN AND HAVE FULL CONTROL OF THESE ON YOUR DOMAIN! YOU CAN DO ANYTHING YOU WANT ON THEM FROM ADVERTISING TO LIVE SHOWS.